The International Telecommunications Union (ITU), the leading United Nations agency for information and communication technology, seeks the most promising tech start-ups making use of open source technologies for disaster management. This could include disaster preparedness, early warning, emergency communication and response, and recovery from natural disasters. We are looking for communication technologies, teaching tools, new equipment to save lives during a disaster, and new tools to help clean up, recover and rebuild after the event. Examples of open source technologies used in disaster management may include 3D printing, UAVs, Raspberry Pi and Arduino – we invite you to surprise us with your innovative approach. We are looking for gifted young entrepreneurs with ideas for innovative social enterprises. The winners receive up to USD 10, 000 in seed funding, as well as business workshops, networking, showcasing and pitching opportunities with potential investors at ITU Telecom World in Doha followed by a mentorship programme throughout the development year to help their businesses to thrive. Are you an entrepreneur under the age of 30 and interested in winning up to USD 10,000 in funding plus mentorship, networking, and high-level exposure? Do you want to be part of the select group of 10 young innovators from all over the world present at ITU Telecom World 2014 in Doha, Qatar? Posted on July 24, 2014, in Africa, Career, Global, Opportunities, Social Entrepreneurship, Technology and tagged #Technology Startups, Apply! 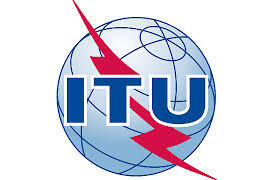 ITU Telecom World 2014 Young Innovators Competition, The International Telecommunications Union (ITU). Bookmark the permalink. Leave a comment.